Welcome to the Vapor Puffs guide on how to use the Vision Spinner 2. First we’ll take a look at the components of the Vision Spinner 2 and then we’ll show you how to use it. What is the Vision Spinner 2? 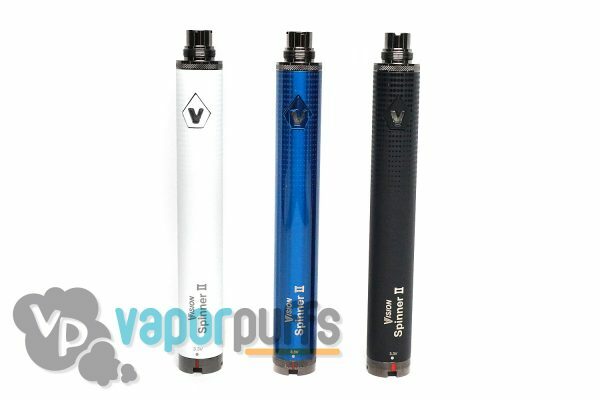 The Vision Spinner 2 is a variable voltage battery, that is adjusted by spinning the base at the bottom of the battery. Threading Connection – This part is found at the top of the battery, it’s the threading that will connect to the threading of the Atomizer. Power Button – Found on the face of the Vision Spinner 2, it’s used to turn the Spinner on and off. Variable Voltage Ring – This part is at the very bottom of the Spinner 2, using the values written around the Spinner, you can set your Voltage to any of the options available by turning this ring. As with most batteries in the vaporizer world, the Vision Spinner is turned on and off by pressing the power button 5 times consecutively and rapidly. If done correctly, the power button should blink its lights a few times. This method allows for the Battery to output a higher temperature and is used as a safety feature so the Spinner doesn’t activate without your knowledge. Line up the Threading Connection on your atomizer to the Spinner 2 and then turn it until it’s tightly secured. If you plan to adjust the Variable Voltage output, now would be the time. Turn on the Spinner 2 by using the method above. Once you see the lights, you’re good to go. Hold up the mouthpiece of your atomizer to your mouth and hold down on the power button on the Vision Spinner 2. From this point on, you should be able to pull from your Spinner and everything should come naturally. We hope we’ve helped you figure it all out. eLiquid: Ingredients to Watch Out For! I’ve been using and enjoying the Spinner 2 but now the light flashes orange and the battery is fully charged. Please help! Thanks lots! Could be the coil, we suggest replacing it. Spinner 2 outputs the correct voltage when the button is pressed, but there is no heat under testing or when tank is attached? Burned out coil? First things first, make sure you don’t need to charge it. Make sure you’re using the right charger; charger mixups are super common in today’s world of technology. Check to see if all connections are in fact, connected. Is your battery/ charging port clean? Be sure to keep things tidy. None of these work? It may be time for a new battery. Also could be the coil, we suggest replacing it. I just bought a spinner and I put it on to charge but it keeps blinking, rather than the three flashes it normally emits. Should I see into an exchange? Hey Tyler, our advise is that you have take it to where you bought the product! Good Luck! If it’s only flashing 2 or 3 times and won’t fire it’s because you have tightened the cleromizer too much which has caused a short in the head. Give it about a 1/16 turn back and all should be good. When connecting to a charger the light on the battery will turn on and the USB charger will flash from green to red to green again. This cycle will continue until the battery is charged and at that time the light will only be green. Also of note, the light on your battery will go out about an hour to an hour and a half before the battery is fully charged. What do the different colors mean? Sometimes when I press the on button to vape and it is blue, sometimes it is red. Does the red mean low battery or something? Also, does the voltage thing at the bottom determine how much vapor is coming out or how much power the device is using when you vape? Might be stupid, but I’m confused. Red = Indicates the battery needs charging, or that the device is currently charging. After plugging in, when the green light turns red it should flash a few times, then stay red until it’s charged and will then turn back to green. The flashing is the charger deciding how much charge it needs. In addition, the V on the Spinners fire button will also flash three times when fully threaded on, after the three flashes the fire button (“V”) will light up when the device is charging. The battery will also flash 15 times in when there is not enough battery for continued usage. Mine’s seem to not be heating up….it was working earlier. Hello! What does it mean when the light blinks while holding the button and vaping? Hi Sarah, check that the center pin on your spinner hasn’t been pushed down too far to make contact with your atomizers. This is the most common problem when a battery doesn’t fire. We assume that the battery is fully charged. Get in there with a little screwdriver and wiggle the center pin up a bit (careful not to fire it while using a metal tool in there). What type of juice do I use in my Vapros Spinner 2 do I use 50/50 only or can I use high vg? How far up do you fill the atomizer with E-Liquid? Just be careful to not overflow. Which coils should I be using and does it make a difference? 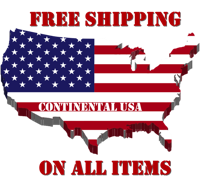 We recommend it for use with the Aspire Bottom Dual Coil Clearomiser or Aspire Nautilus Mini, depends on you preferences. To lock or unlock the Vision Spinner 2 battery, press the button 5 times within 1.5 seconds. The LED light will flash to confirm each action. When the battery is in lock mode, the power button is disabled. Charging time – Spinner II, for its large capacity of 1600mA, requires about 5-6 hours to be fully recharged if the the battery has no power at all. Spinner II, no different to regular eGo batteries, requires a standard USB charger of 420mA output and a wall adapter of 500mA output. Like other e-cigarette batteries, you should always give your Vision Spinner an initial charge of at least 4 hours, even if it appears fully charged or is already holding some charge. This conditions the battery and ensures a longer battery life overall. Once the battery is conditioned, you will typically need to charge a low battery for three to four hours. If the battery does not charge immediately, tap the button once to activate charging.